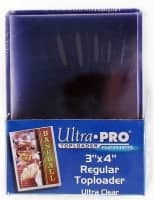 Factory Sealed 2018/19 Upper Deck SP Game Used Hockey Hobby Box mit 1 Pack Per Box, 6 Cards Per Pack. In jeder Box im Durchschnitt: 1 Autogramm oder Premium Memorabilia Card, dazu 3 weitere Autogramme oder Memorabilia Cards ! 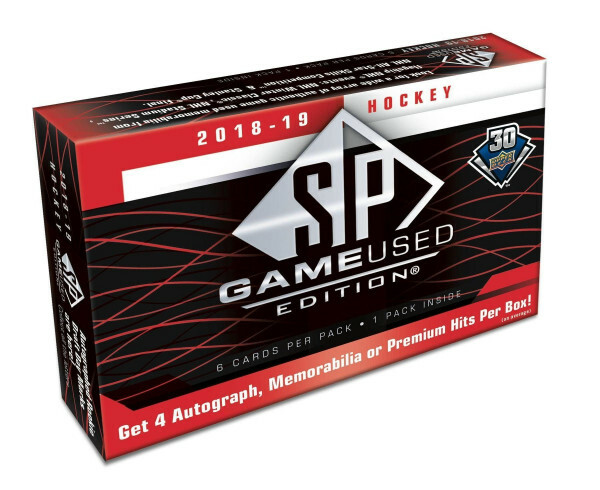 Produktinformationen "2018/19 Upper Deck SP Game Used Hockey Hobby Box NHL"
Find a wide array of materials cards featuring jerseys, patches, pucks, sticks, gloves and net cord from marquee NHL events including NHL 100 Classic, Winter Classic, Stadium Series, and the All-Star Game. 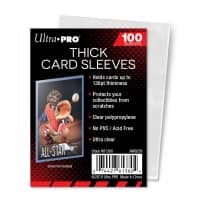 Look for 100 base cards and 100 Authentic Rookies (featuring members from the 2018-19 Rookie class), serial #'d to the featured player's jersey number. Collect a new wave of Draft Day Marks letterman cards including veterans #'d to 10 and 2018-19 rookies #'d to 35 per letter. Look for Supreme Patches, Supreme Gloves, Sticks and Pads featuring a selection of the game's top stars with massive swatches of super-premium, game-used material. NEW! Look for Day with the Cup Materials Net Cord cards with past & present winner's #'d to 35. NEW! Battle Lines Net Cord cards featuring rival matchups #'d to 35. NEW! Grab new materials cards like Tools of the Game, A Piece of History, Locker Essentials and Draft Swag with premium parallels #'d as low as 5. Dieses Produkt enthält Redemption Cards, die nur direkt bei www.upperdeck.com in den USA eingelöst werden können. Weiterführende Links zu "2018/19 Upper Deck SP Game Used Hockey Hobby Box NHL"
Fanbewertungen für "2018/19 Upper Deck SP Game Used Hockey Hobby Box NHL"